There are many traditions surrounding the celebration of Easter. There are many stories and legends from the old pagan mythology, through the goddess Eostre to the Dutch connection. 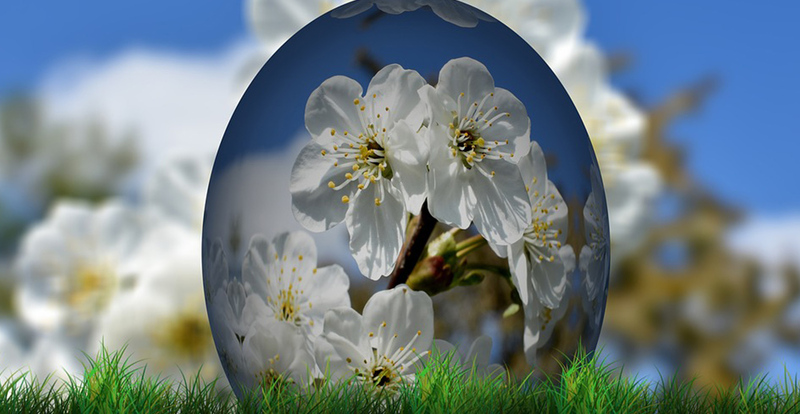 One of the theories is that the word ‘Easter’ comes from two old pagan spring festivals. The old European pagan festival of ‘Ostara’ that celebrated new life, and the Arabian Sun festival of ‘Ishtar’. The early Christians took over the festivals and turned the pagan festivals of new life to mean the new life that Jesus gave the world when he rose from the dead. The modern English term Easter, a cognate with the modern Dutch word ooster; the German Ostern, developed from an Old English word that usually appears in the form Ēastrun, -on, or -an; but also as Ēastru, -o; and Ēastre or Ēostre. Easter: an ancient goddess or a celebration? The most exciting theory of the origin of the term is that it is derived from the name of a goddess. Around the 7th to 8th century, English monk Bede wrote that Ēosturmōnaþ was an English month, corresponding to April. According to the late monk, “it was once called after a goddess of theirs named Ēostre. In her honour feasts were celebrated in that month”. Although there is no firm evidence that such a goddess actually existed, the old word Ēostre sounds suspiciously like Easter. In Greek and Latin, the Christian celebration was, and still is, called Πάσχα, Pascha. A word derived from the Aramaic פסחא, a cognate with the Hebrew פֶּסַח (Pesach). The word originally denoted the Jewish festival known in English as Passover, commemorating the Jewish Exodus from slavery in Egypt. In the 1st century, Paul, writing from Ephesus to the Christians in Corinth. Applied the term to Christ, and it is unlikely that the Ephesian and Corinthian Christians were the first to hear Exodus 12 interpreted as speaking about the death of Jesus, not just about the Jewish Passover ritual.